Are you a member of the US Armed Forces or a federal government employee? If not, do you know someone who is? PATH Intl., listed as NARHA, is a participating charity in the Combined Federal Campaign. Give $1 per paycheck to underwrite the cost of producing the PATH Intl. Standards for Certification and Accreditation Manual. Designate Code 23051 to give to PATH Intl. If you'd like more information on how you can give to PATH Intl. through your paycheck, please contact Megan Ream at (800) 369-7433, ext. 107. The conference is over for another year, and we are gratified at how well this conference was received. We hope you enjoyed your time in Lexington and that you learned a lot of new things, met some new people and enjoyed time with friends. We hope to see you again in 2012! 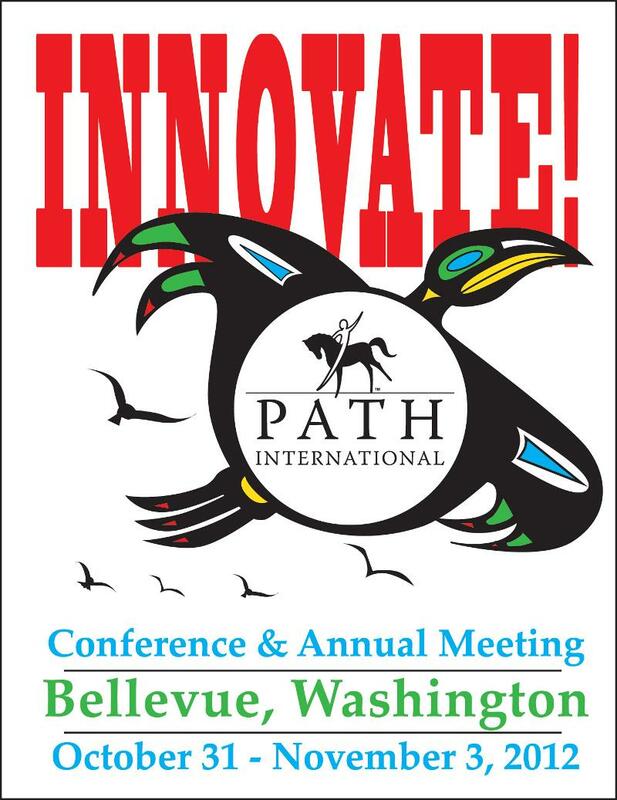 If you weren't able to join us, mark your calendars for October 31-November 3, 2012 for the conference in beautiful Bellevue, Washington, just outside of Seattle. Place Your Bets on the Society of Visionaries! 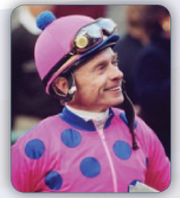 The Society of Visionaries, which began at the 2010 National Conference and Annual Meeting in Denver, hosted its first Visionaries-only gathering at Keeneland Racetrack and Darley Thoroughbred Farm in Lexington, KY, on November 12, 2011. Members had a glorious time as they met legendary jockey Chris McCarron and saw stallion Holy Bull, as well as other famous stallions. Click here for more information on how you can join us or to learn more about the Society of Visionaries. When the NARHA Horses for Heroes initiative launched in 2006, the association was made aware that the catchy name had already been trademarked. At that time legal consultation advised that we would likely be okay for the time being as long as we always used the name NARHA with it. Since that time it has become increasingly apparent that the association, and its members offering services to veterans and wounded service personnel, must set themselves apart from the pack. Legal counsel has directed the need for the association and its members to no longer use Horses for Heroes. That name has spread and is being used by innumerable groups. Some groups are positively wonderful. But, not all of these entities are providing EAAT and they certainly are not operating within PATH Intl. standards and guidelines. In order to protect the association and its members from inadvertent association with these groups, a new name for the initiative will be coming soon. It is unfortunate that we will have to leave such a catchy name behind but it is for good reason that a transition must be made. PATH Intl. remains committed to helping this valiant population experience the benefits of EAAT. The association will continue to help centers to begin providing services to veterans and wounded service personnel and provide a network of mentors who have been successful initiating partnerships with their local Veteran's Administration. Please be patient as the association, the passionate and dedicated task force and its legal team work to find a positive solution. Watch for an announcement soon. 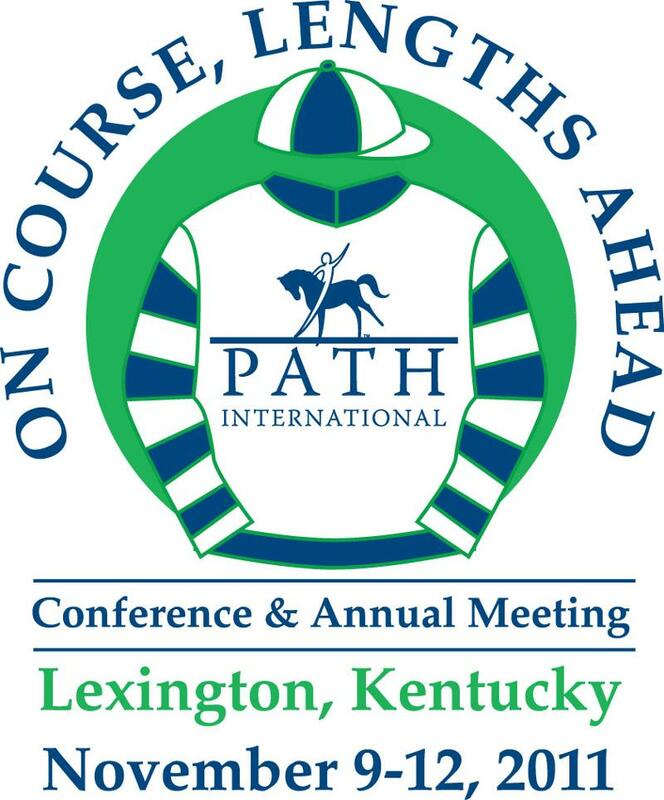 Beginning in June 2010, the PATH Intl. Equine Welfare Committee has provided its readers with articles offering equine welfare tips in the PATH Intl. eNews. This idea came about as the committee discussed ways to support the members and offer education in the area of equine care and handling practices. Since that time we have received many positive responses, along with a few questions. It was recently decided that sharing these responses and the feedback offered would benefit all readers. Therefore, this article is the first one in which we will share a comment from one of our readers, as well as the feedback offered. Comment from a reader of the article, "No Eating That Grass!" "I am responding to the recent tip regarding horses trying to eat grass while being led. I do not agree with punishing the head of a horse in this situation. A head shy horse is more dangerous than one that eats grass." Thank you for your comment on our July tip, "No Eating That Grass!" I agree that a head shy horse can be a problem. However, if done with correct timing and pressure, the technique shared in this tip would not result in causing a horse to be head shy. We are not punishing the head of the horse. We are correcting the action of eating while being led and offering a consequence for that unwanted behavior. When done in the manner described, the horse should not relate your hand to the fact that the leadline bumped him when his head was down and he was eating. At no time would we ever be striking the horse with our hand. I will also mention here that it is very important to keep emotion out of all of our work with horses. We aren't mad at them and certainly don't want to project anger during our interactions. We simply want to correct a dangerous habit and teach them where their head belongs when they are being led. Click here to view this entire tip. Keep the comments coming! We would love to hear from you. Please let us know if you have any questions about our tips and also what topics you would like to see us address in the future. Email Kristin Mason, EWC chair. Thank you! Contact Abby Hendren at (800) 369-7433, ext. 104, with questions. All dates are subject to change. To register for an event, please contact the host site directly. You can locate its contact information under the Find a Center link on the PATH Intl. home page or on the PATH Intl. events calendar.